Due to the impact of the US-China trade war, exhibitors have been concerned about whether the escalating trade tensions would hurt their business since July. However, exhibitors at the 124th China Import and Export Fair said that although they are worried about the negative impact of the US-China trade tensions on their business, they will actively cope with the situation by exploring other markets. One exhibitor of the above fair said that his purchasers mostly came from the US and South Korea, but his company will solve the problem by expanding markets in emerging economies like India, and the company has designed products that cater to the tastes of customers in those markets. Experts at the 17th RemaxWorld Summit will share their experiences about the booming markets in 2019. Click here to catch up with them. According to customs data, positive signs have emerged regarding China’s trade situation. China exported $227 billion worth of products in September, up by 14.5 per cent on a yearly basis, compared with a 9.1 per cent growth in August. 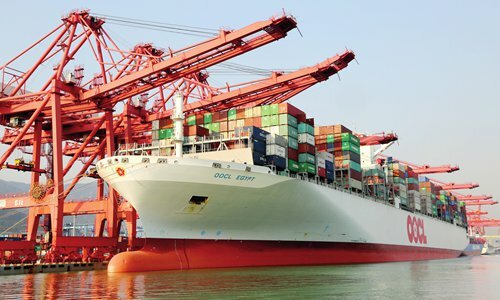 “Those readings show that China as a major trade power has strong resilience,” said Bai Ming, deputy director of the Ministry of Commerce’s International Market Research Institute. To be held at almost the same time on Oct. 19-20, the 12th RemaxWorld Expo has also attracted more new exhibitors and visitors from all over the world, with countries along the Belt and Road (B&R) initiative route playing a rising role among overseas exhibitors.